Find the perfect floor plan for you below! Rise on Chauncey offers studio through four-bedroom floor plans in a community that has all the amenities a college student could ask for. 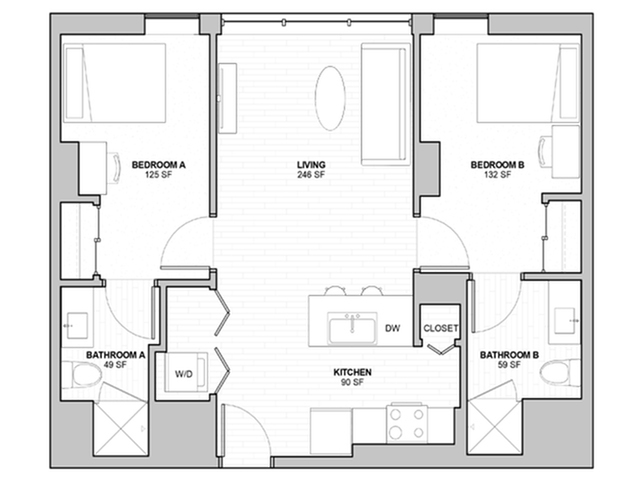 Like one of the floor plans below but need more roommates to fill it? Contact our leasing office to see how we can help match you with potential roommates! *All prices are listed by the bed per person.